Last year, Google launched third-party add-ons for Gmail. Sitting on the sidebar on the right side of your inbox, these third-party add-ons can be used directly with Gmail to improve your productivity. The biggest advantage of “add-ons” (over chrome extensions, etc) is that they work seamlessly with all browsers and mobile devices. You can install multiple add-ons from different vendors without compromising performance or experience. When launching add-ons, Google itself described email as “mission control” for your working life, and the best add-ons make Gmail feel more like centralized command center! Dropbox – The add-on lets you save and share all files, big or small—including photos, videos, presentations, docs, and project work—without leaving Gmail. And now you can attach files from Dropbox when you compose an email. RingCentral – Users can access the cloud-based phone system from within their email. RingCentral’s contacts, messages, call history are displayed in your Gmail message threads. Users can also see the on/offline status of their connections, send SMS messages and make outbound calls. 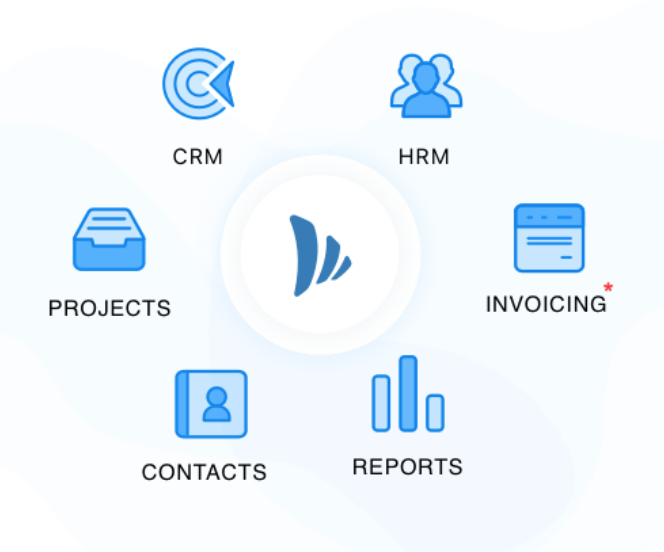 TeamWave – Integrated Software to Run Your Entire Business – CRM, Project Management, HR & More. TeamWave’s Add-on for Gmail currently offers only CRM. Ideal for small & mid-sized businesses. Hire – Simplify your recruiting process. Users can review candidate applications, respond to job applicants and schedule interviews from their inbox without going back and forth through applications. It also allows users to view and track team member interactions so you never have to wonder if someone followed up. Zoom – Users can set up calls or video chat directly through Gmail, using contact info in an email or saved to Google. It also allows you schedule meetings for later and check for any scheduled calls you have coming up without opening Zoom or a calendar. Docusign – Securely use a digital signature on legally binding documents, the add-on lets you send an attached document in an email over to DocuSign with only two clicks. It then opens the document in DocuSign, too, so you can take care of business right away. And just like that, a convenient service gets more convenient. Insightly – Build better customer relationships right in your inbox with the Insightly Add-On for Gmail. Save emails to your CRM and link them to the relevant people, deals, or projects. You can also create new leads and opportunities without leaving your inbox, and insert prebuilt email templates to save time and stay on message. Got a favorite Gmail add-on not on this list? Share it with us in the comments.